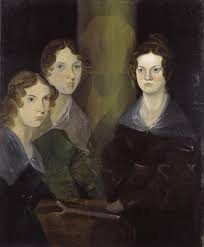 This is a talk that I gave on the three Bronte sisters, Charlotte, Emily and Anne. It was broadcast on the Overnights program on RN on the ABC on Tuesday 26th February 2019.
or look for "The three sisters who became literary giants" via the ABC Listen App. Here is the poem by Emily Bronte which I used to close the talk by reading the last verse.